Hello, when I put the Paypal form into my Muse mobile site artwork, and adjust the form box to the required width the payment box goes full width and the 'GBP' gets cut off. The top Paypal form on attached image shows this and the bottom one shows the form when I make the width of the box about 500px or more. Here the form is nearer my requirements but cannot be used on the artwork as it's too wide. How can I control the width of the Amount box and not cut off the GBP text and have the form box at the required width? I'm new to JotForms and have not used CSS before. 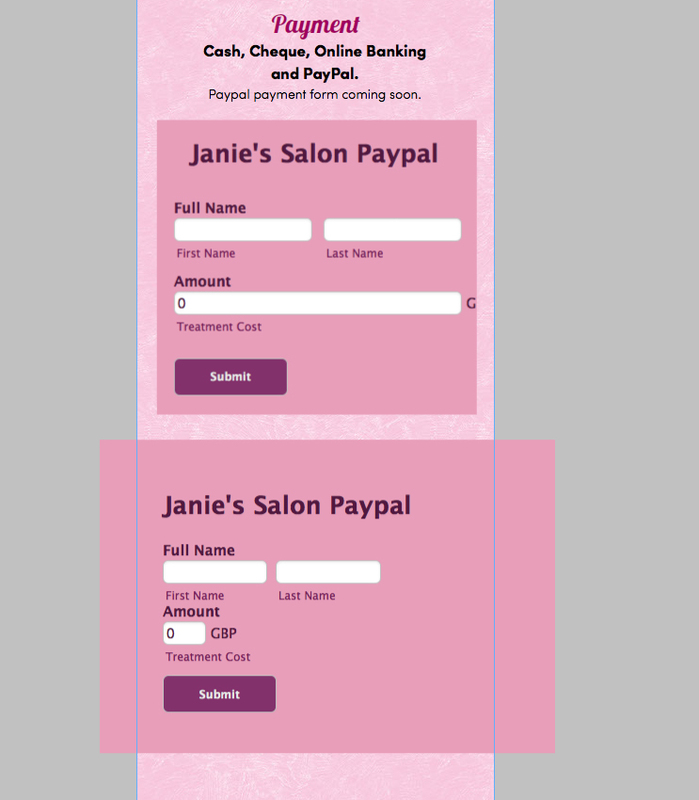 I believe this is about your form 60414633761351, named Paypal mobile form for Janie's Salon. The reason that the fields get wider is because the form is mobile responsive - it detects that it has a narrow space (500 pixels or less) to display, and it displays in a mobile responsive manner. Please let us know how it goes, and if it resolves the issue you were having. Thank you.